Ever Dreamed of A Career Out of This World? I once had aspirations of becoming an astronaut. So do many kids. A pure and simple dream that ultimately tempered with maturity, realism and ridicule. That fantasy has been long put to rest. The odds are astronomical that someone will find themselves in space – or even in the high courts. Besides space exploration, there are other jobs that are near impossible to ace – think judge, dean, researcher, scientist, brain surgeon, military general, CEO. There’s no shortage of those who’ll just keep dreaming about being a professional basketball player, pop celebrity, screen writer, even on-staff photographer at National Geographic. Definitely, while chasing that dream you have to be smart about career goal setting, and you definitely don’t want to find yourself at a dead end after years of going to school and have nothing meaningful to show for it. Scott VanBommel, for example, he is literally shooting for the stars. The aspiring space explorer has gone where few have gone before, although he has yet to leave earth. He was recently among 72 astronaut candidates shortlisted by the Canadian Space Agency (CSA) – close to 4,000 applied! Although he didn’t make the last cut, he dreams haven’t been dashed. Is trying to be an astronaut a reality or an impossible dream? “Trying is always possible! I think many aspirations seem out of reach, at least at first. 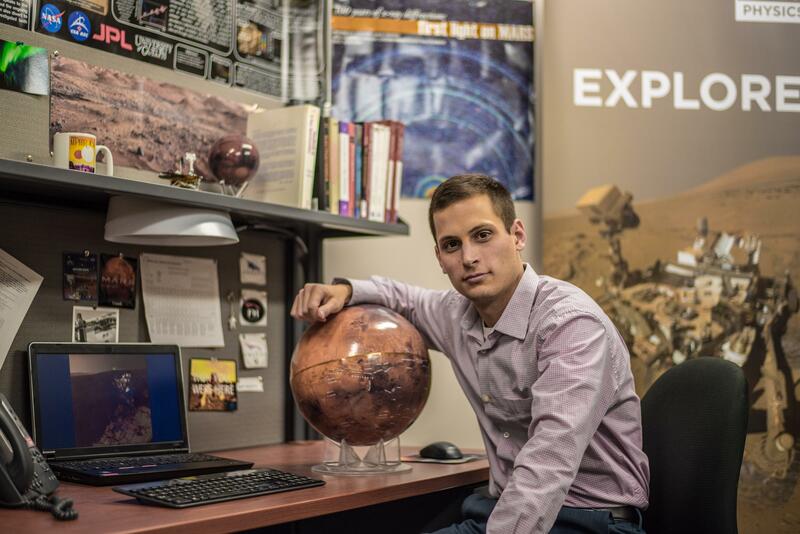 Once you focus on them, I feel they become more clear as progress is made and any impossibility is slowly replaced with possibility,” says VanBrommel, who has worked on two active Mars exploration missions analyzing data from rovers. He’s finishing up his physics PhD at the University of Guelph. The odds and obstacles have never grounded his aspirations. One door closes, another opens. “Dreams don’t die at the first setback; I am still firmly set on my aspirations of being a part of human space exploration.” In the meantime, exciting projects here on Earth keep him growing and making contributions while he prepares for the next opportunity. Meanwhile, we all know that if you shoot for the moon and only reach the stars, you’ve still gone far. What is the worst possible outcome of taking a risk and pursuing what others might call impossible, asks Wofford. You could learn! You could meet people who point your career in a new direction. You could get that first major failure of every great success story, behind you. If you’ve got the drive, passion and mindset, don’t be deterred or give up. If your dream is outlandish and you’ve shared it with others who have told you just as much, it may begin to feel as if everyone is against it. But who is everyone exactly? “Everyone will laugh at me!" Make a list of the everyone for which you have concern and when you notice it is actually only two or three people whose opinions have never changed your other decisions, you might be willing to go for it,” stresses Wofford, of contagiouscompanies.com. The experts stress to know yourself and your strengths. Be sure you can handle rejection. “Many times these high, almost unattainable careers mean dealing with a lot of rejection before making it to the top. If you're not prepared to hear a lot of ‘no,’ then maybe it’s not the best career choice,” adds Crawford, of halliecrawford.com. You’d wise to not let your dream job aspirations turn into a nightmare. Dream careers can be wonderful but few are successful at attaining the impossible – most of us need to and that’s just fine. Infuse your life with your passion outside of your job. "Dreams don't die at the first setback, I am still firmly set on my aspirations of being a part of human space exploration. However, there are certainly plenty of exciting opportunities here on Earth to keep me growing and making contributions while I prepare for the next opportunity."